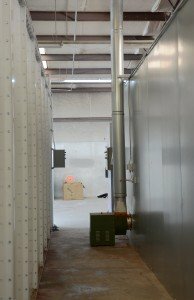 Whether yo u’ve just started coating or have been operating a batch powder coating system for years, you know that the coating oven is an expensive appliance and a vital part of your coating operation. Keeping your batch oven in good working order is critical to long-term success. A well-maintained powder coating oven can last for over a decade, produce thousands of high-quality parts for your customers and be a considerable source of income for your business. However, a batch oven that is operated incorrectly can be a serious safety hazard that’s unreliable and can cause you nothing but problems and headaches. To help you avoid making a costly – and potentially dangerous – mistake, here are five things you should NEVER do when operating a powder coating oven. 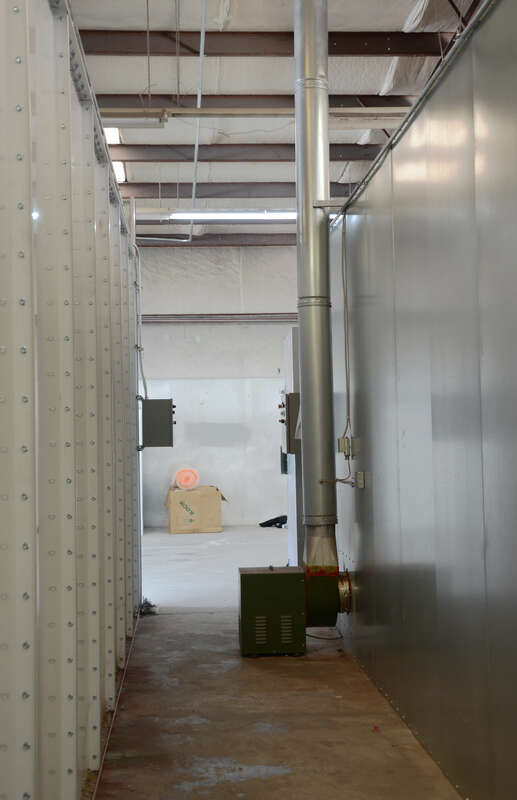 Most batch powder coating ovens are rated for sustained operation at temperatures of up to 450° F, while some more expensive models are rated up to 500° F or higher. 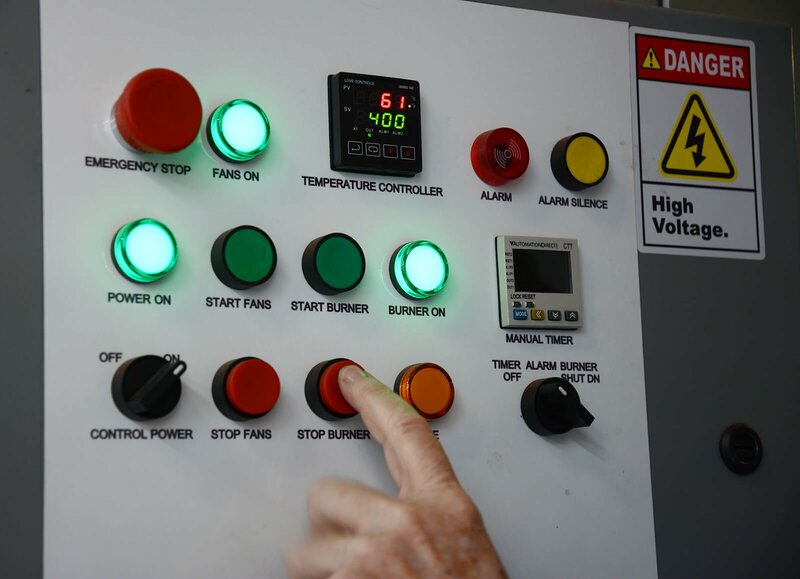 If you own a conventional 450° batch oven, jumping up from 380° to 480° in an attempt to save a few minutes of cure time will harm the equipment, possibly trip the safety devices (leading to downtime) and potentially damage the finish on your parts. Every powder is rated for a specific temperature range. Going above this range will make the finish brittle and less durable, and can cause discoloration issues. This is especially true with glossy white finishes. Also, the few extra minutes you might save aren’t worth voiding your warranty or damaging costly components, especially on a critical piece of equipment like a batch curing oven. All professional-grade gas fueled ovens are built to exhaust a certain amount of air whenever the oven is in operation. The exhaust causes the air to move in a particular pattern within the oven cabin, keeping the cabin a stable temperature throughout. If you reduce or eliminate the exhaust airflow, you can create hot and cold spots that weren’t there before. These temperature changes will cause the powder to overbake or underbake, resulting in poor finishes and lots of reworks. You’ll also have problems with safety devices. If you disable the safeties to keep them from tripping, you are violating important safety codes and you’ll void your warranty, no matter who built your oven. Another problem is that if there isn’t enough air being exhausted from the oven, you can have significant heat loss at the doors or oven panel seams. You may also have problems getting the doors to latch properly. If too many objects and racks are added to the oven, there’s a high probability you will accidentally block the oven exhaust or airflow ducts inside the cabin. If the exhaust is blocked, it adds stress to the exhaust fan and can shorten the service life of both the fan and the drive motor. It can also promote hot spots inside the oven that can damage parts, rolling racks or the oven cabin itself. If the supply ducts from the heater are obstructed, the powder can get blown off the parts. A bigger problem arises if the airflow through the heat unit gets reduced. This not only kills fuel efficiency but it also causes the temperature inside the heat unit to skyrocket. This can result in the heat unit’s fan failing, reduced service life from the motor, erratic operation due to safety circuits being tripped and even structural damage to the heat unit. No matter how busy the coating line is, skipping scheduled maintenance will shorten the service life of important oven components and can lead to critical failures. The majority of service calls we receive regarding older ovens are linked to poor maintenance practices. Most of these calls come from successful powder coating shops that use their equipment daily and stay busy–but they learn the hard way that “we’ve been busy” is no excuse for avoiding routine maintenance procedures. Keep your oven clean. Service the burner regularly. Lubricate bearings as directed. Check ductwork for obstructions. 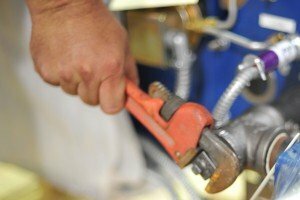 Don’t let a nuisance issue, like a noisy exhaust fan or a worn-out door latch, result in costly downtime because you were too busy to deal with it when you first noticed it. Make sure to allow for enough space around your coating oven to meet safety codes and allow for easy maintenance access. From time to time we encounter a situation where a customer has installed his oven too close to his powder booth, his welding operation, a clean-up station, his blasting operation or some type of chemical pretreatment wash station. Not only does this violate safety codes, but debris, fumes or even powder from other appliances can cause problems with your oven or your finishes. We were recently asked to troubleshoot problems with a high-end oven from another manufacturer. We discovered that the oven worked fine, but the parts were being exposed to WD-40 fumes during both the coating and cool-down stages—resulting in unacceptable finishes. Although this wasn’t damaging to the oven, similar exposure to airborne grit from blasting or pretreatment chemistry from a washer could have been. Another common problem is when the “guts” of a powder coating oven get coated with a layer of powder over and over again during operation because of powder overspray from a nearby booth (usually one that needs a filter service). The burner safeties can cause the oven to shut down, the fan can come out of balance due to an uneven layer of melted powder and ductwork can become restricted. All of this can be prevented with proper planning and equipment placement. At Reliant Finishing Systems, we pride ourselves on providing some of the best and most efficient batch coating equipment on the market. By following these tips, making sure you’re following a set maintenance schedule and contacting us for service visits when you have problems, you can help increase the lifespan of your equipment and maximize your ROI. Have any questions about powder coating equipment or need to schedule a service visit? Give us a call today. This entry was posted in News on August 22, 2016 by Reliant News.